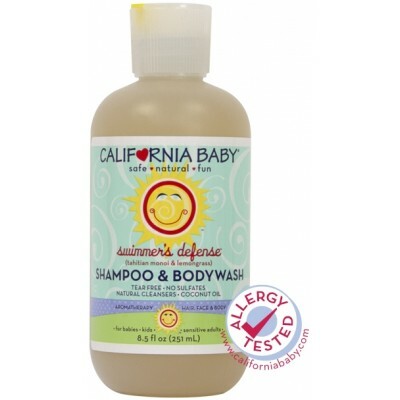 California Baby Eucalyptus Ease Everyday Lo..
California Baby Therapeutic Relief Eczema C..
California Baby Calendula Shampoo & Bod..
California Baby Super Sensitive Shampoo &am..
California Baby Tea Tree & Lavender Sha..
California Baby Eucalyptus Ease Shampoo &am..
California Baby Eczema Therapeutic Relief S..
California Baby Calming Organic Powder - S..
California Baby Calendula Bubble Bath 384 m..
California Baby Eucalyptus Ease Bubble Bath..
California Baby Super Sensitive Newborn Tot..
Baby Ganics Shampoo & BodyWash 473ml - Frag..
Baby Ganics Night TIme Shampoo & BodyWa..
Earth Friendly Baby Calming Lavender Body L..
Earth Friendly Baby Soothing Chamomile Sham..
Earth Friendly Baby Soothing Chamomile Bubb.. Exceptional! Beautiful scent! Gentle! Works to rebalance pH! We can go on and on… The structure of the hair is very vulnerable to drying agents such as sea salt, chlorine and styling aids. 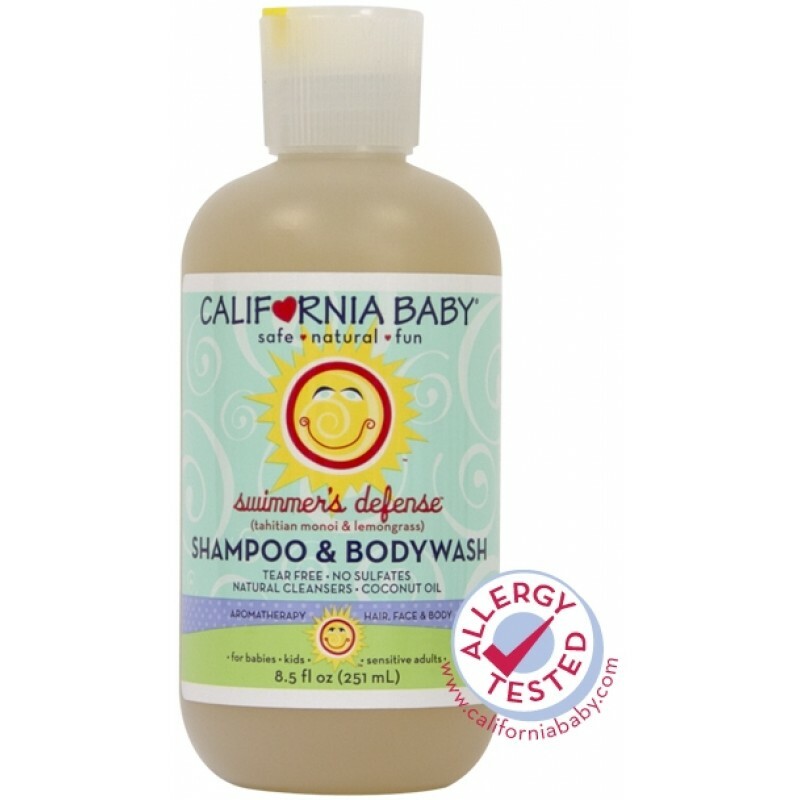 California Baby®'s silky Swimmer's Defense™ Shampoo & Bodywash works to wash them away gently yet thoroughly. We added a bit of moisture to our non-stripping and non-invasive cleansing formula to soothe stressed hair and dry itchy skin. No tears and extremely biodegradable. Perfect for year-round use. For Grownups: Perfect for dry or color-treated hair.